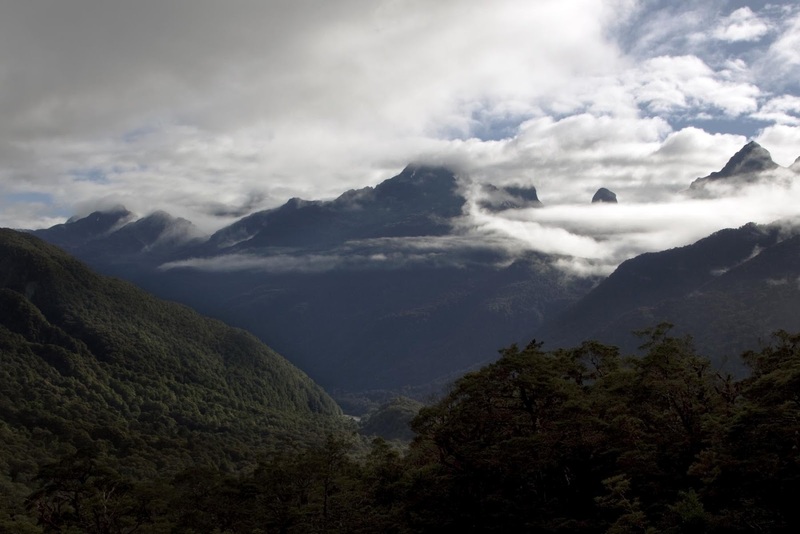 Te Anau, the first point of call for most people who visit Fiordland. We parked up, walked into town and did what we do best – shopped for food and wine! 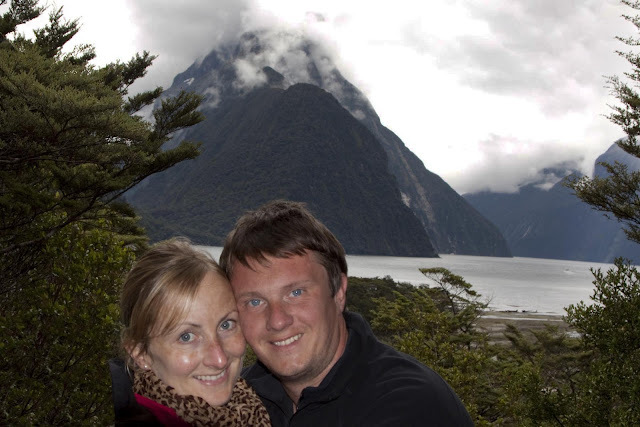 We also booked our cruise on Milford Sound. Exciting (the cruise not the food, although it was still quite nice)! The rest of the day we pottered in the shops and coffee shops, had a leisurely wander by the lake and had a chat with some fellow travellers in the dining room. I say chat, we sort of listened whilst they talked to us about places we had never been nor even heard of! We had a lie in before driving to the Te Anau Downs, realising that there isn’t really anything there to see or do and driving back. 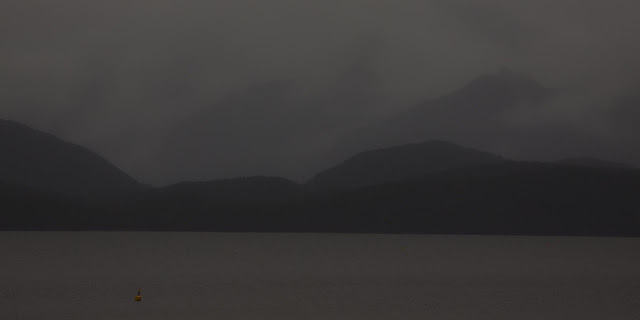 We walked the start of the Kepler Track from Lake Te Anau until the rain got so hard we couldn’t see and turned around, walked back to the van and drank lots of tea all day! Sunday arrived with a slight break in the clouds – and we were on our way to Milford Sound. The drive to Milford is approx. 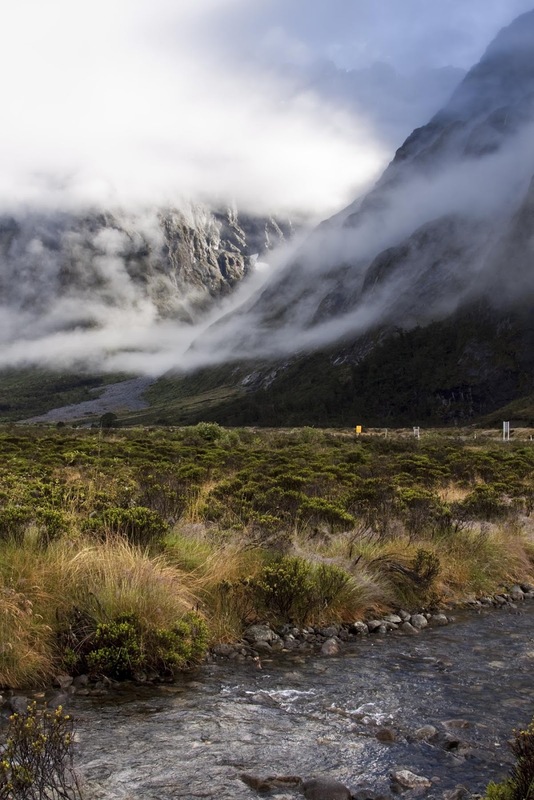 120km through the Eglinton and Hollyford Valleys and through the Homer Tunnel. The drive in itself is amazing. Our first stop was Mirror Lakes, a small tarn that is ‘famous for its mountain reflections’. Maybe on another day! 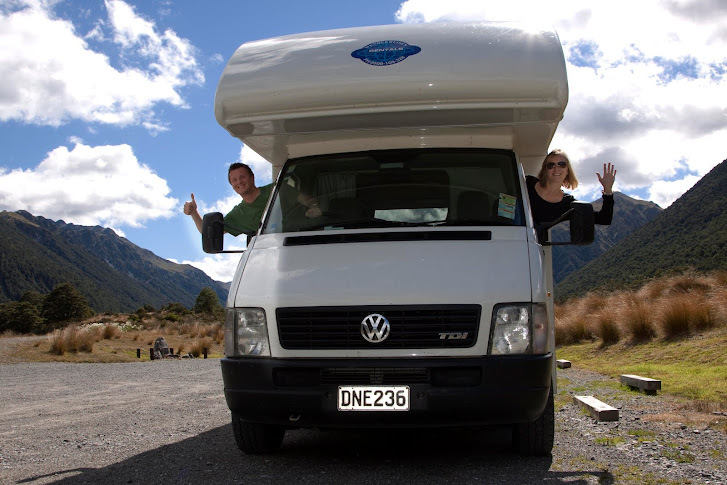 Next stop was Lake Gunn. This 45 minute walk through the forest promised bird life and a variety of plants and mosses. We decided to leave it for the way home, as it was freezing cold, the cloud was at eye level and the car park was full! We climbed and crossed The Divide – the lowest crossing in the Southern Alps at 531m – I’d like to say the van flew up it but I’m not a liar. We were rewarded for our efforts with an amazing view down the Hollyford Valley from Pop’s View just as the mountains broke through the clouds. The drive down and through the valley towards the Homer Tunnel was no less impressive. After negotiating the hairpins at an average speed of about 5kph (sheer drop offs and an unstable heavy understeery van = sloooooooow!) we arrived at the harbour and boarded the smallest boat available – it was still huge! 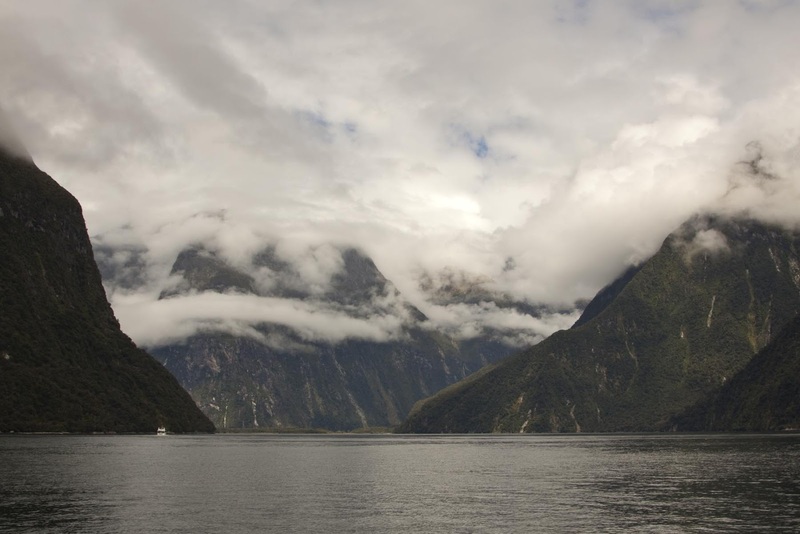 Captain Cook missed Milford and didn't map it at all, as from the sea the entrance is guarded by shallow waters, rocky outcrops and overlapping mountains. 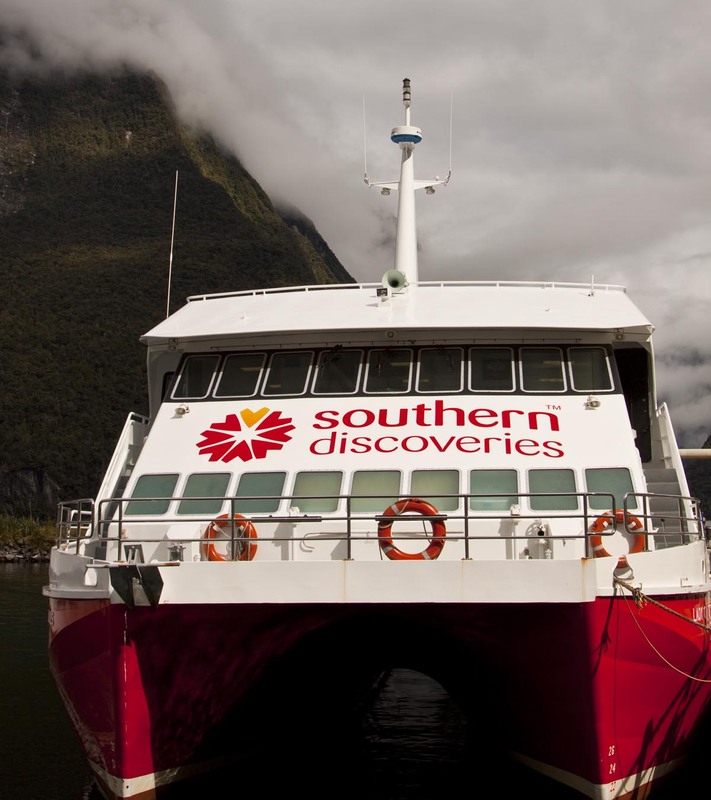 He mapped Doubtful Sound – named after he thought it was doubtful he could sail in and out of the narrow entrance. 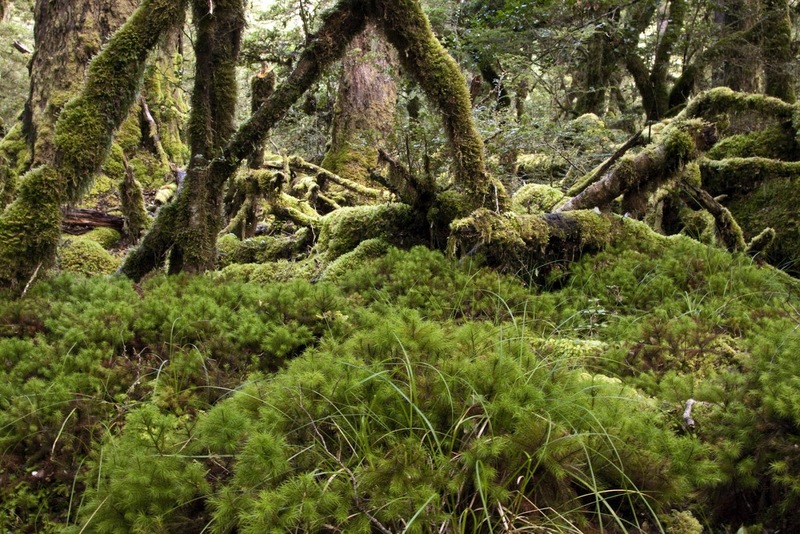 It was an Welshman, Grono, who found Milford by accident. A storm was raging and he was about to sink his ship in the bay when he was taken by the current into the entrance of the fjord. He tried to drop anchor, but as it is over 400m deep failed and so kept sailing the 16km to the head. 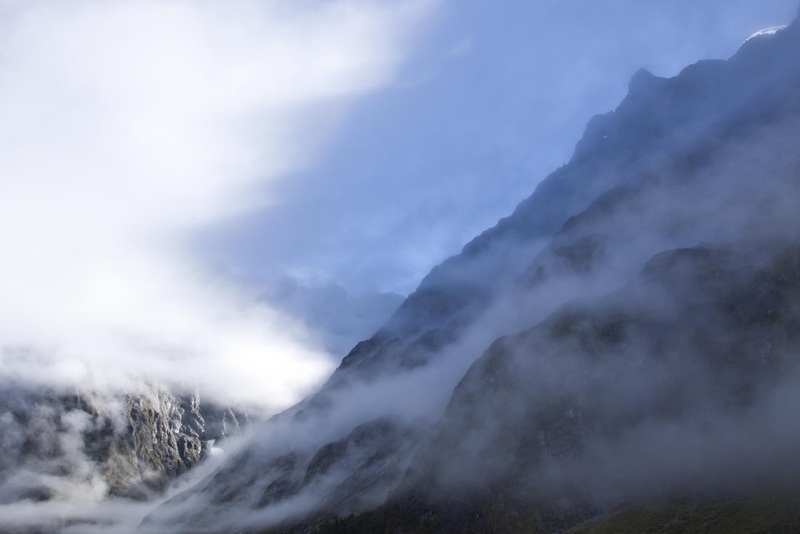 He named it Milford Haven after his homeland and that’s the start of putting Milford Sound on the map! Milford Sound is not actually a sound at all. 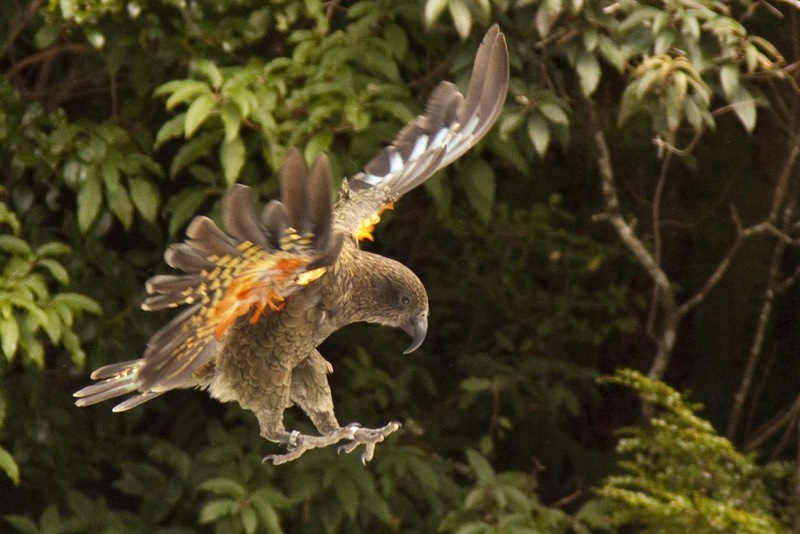 It’s another example of the Kiwis getting things wrong. 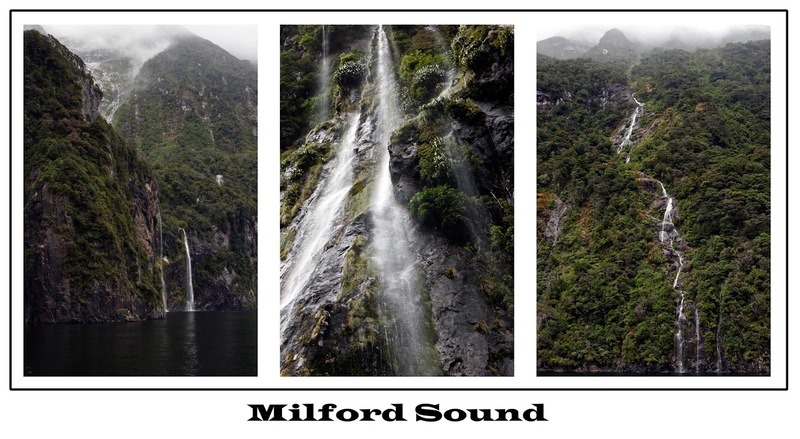 A sound is a flooded river valley – Milford Sound is a flooded glacial valley and is therefore a Fjord. 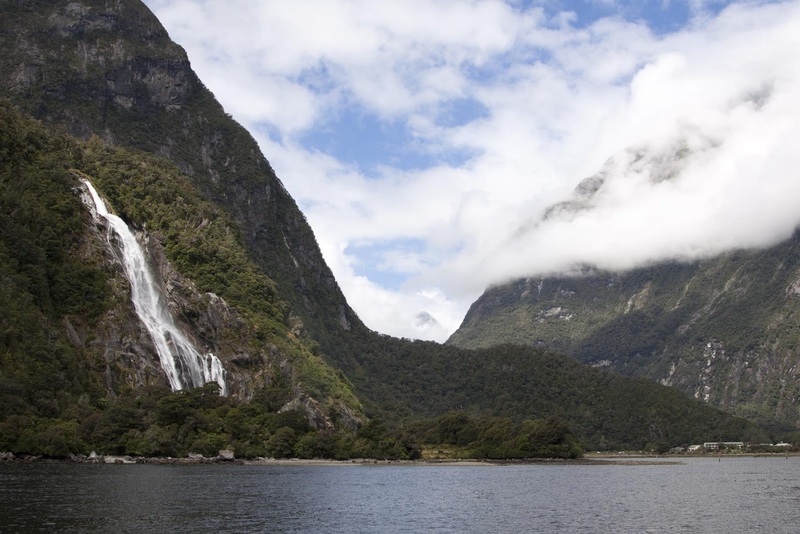 The Kiwis realised this well after naming it, so to try and make up for it named the whole part of the country Fiordland. 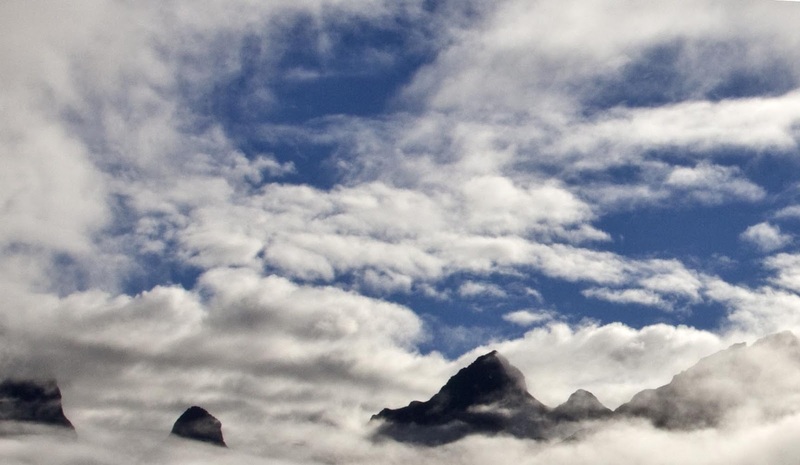 Mis-spelling Fjord. Still, Fjord, Sound or Fiord it was amazing. 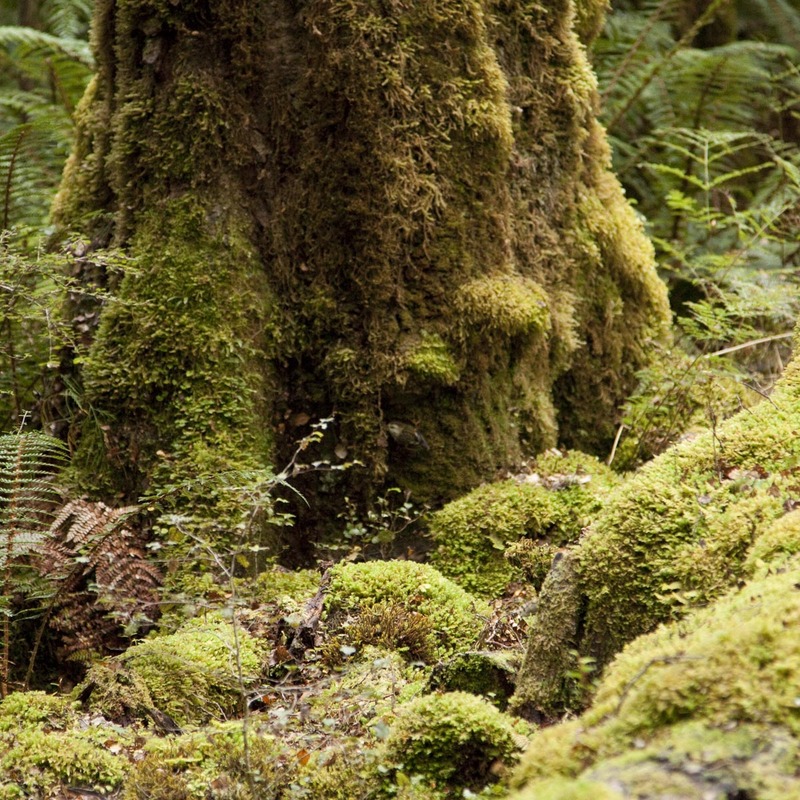 It’s hard to judge the scale of the place from a photo so we’ll try to add some context where possible! 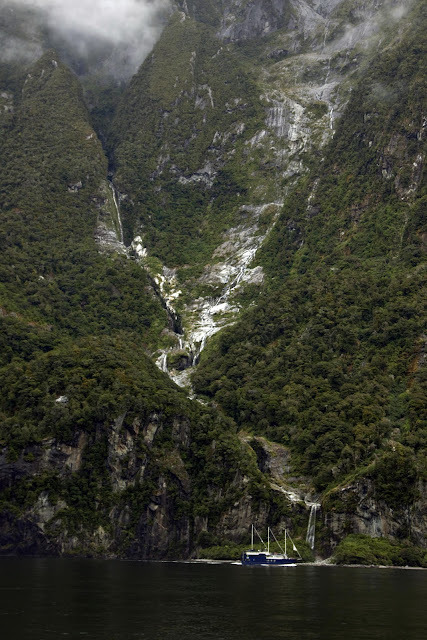 The picture below is Bowen Falls – one of only 2 waterfalls to be ever present. Doesn’t look too big in its surroundings but is actually over 160m tall! Our misfortune of rain the day before was our bonus today as waterfalls cascaded down almost every surface. Milford receives approx. 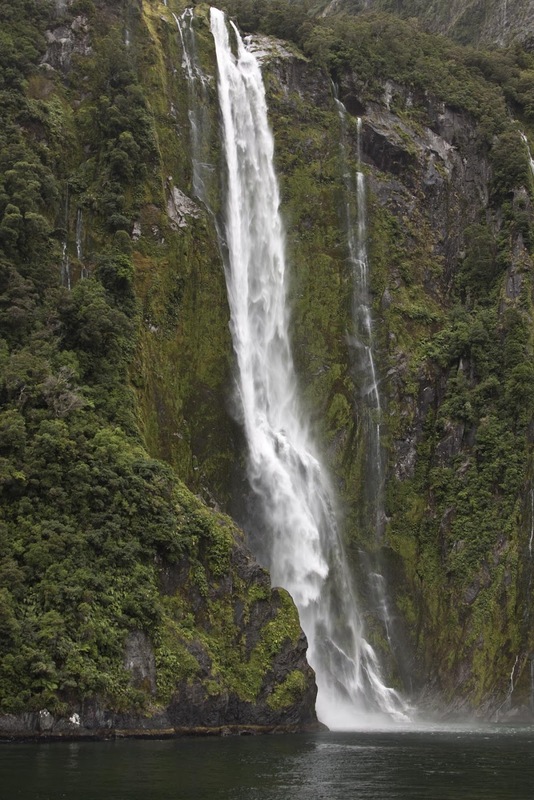 8000 mm of rain a year but most of the waterfalls are irregular and depend on the intensity of the rain. The sides of the sound are well over 1000m – and it’s not until you put a 3 deck boat at the bottom do you appreciate the sheer size. The most spectacular waterfall is Stirling Falls and our boat got pretty close! An underwater observatory has been built in the last few years on the site of a research reef. 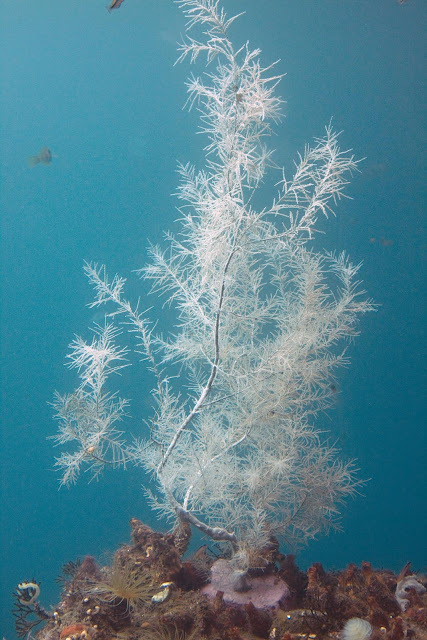 Here black coral lives in depths of only 10m – it only usually thrives below 50m. The odd thing about black coral is it is white until it dies. 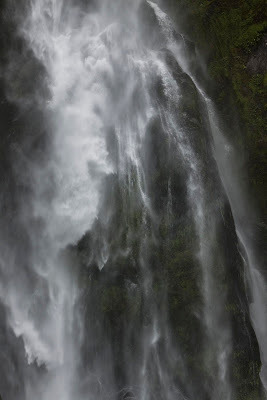 We started the drive back and stopped off at The Chasm – a rock chasm and waterfalls dug out by the Cleddau River. 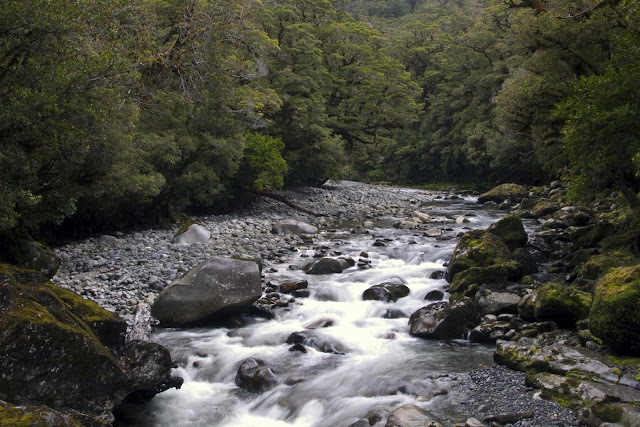 The river was nice, but the helpful Kiwis built the walkway on top of the chasm so you can’t actually see it! 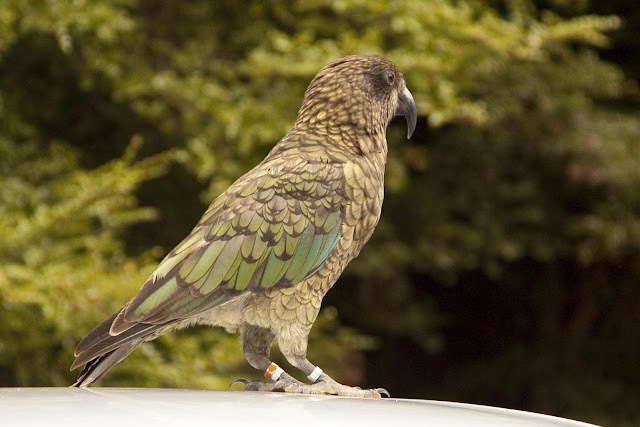 A couple of Keas – mountain parrots, were flying around the car park, landing on car roofs and picking at the rubber window trims of campers and cars. 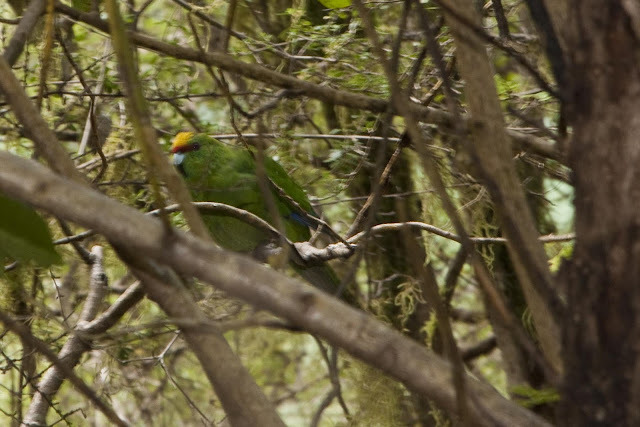 Little buggers but awesome colours! 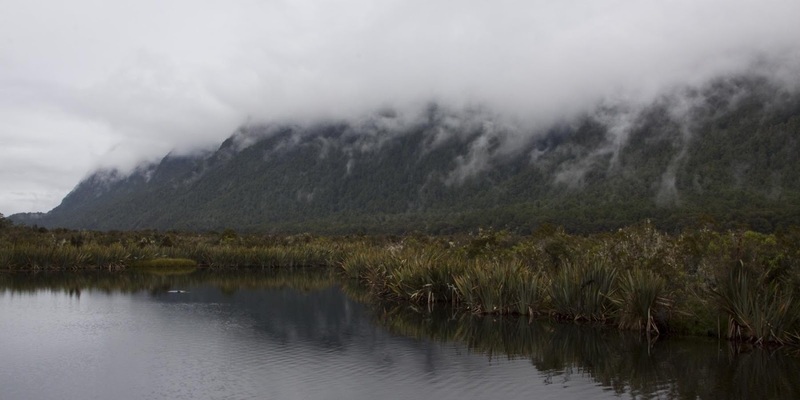 Our day ended with a short walk through the Lake Gunn nature reserve as the clouds were now a little higher. This beech forest is literally covered in moss. Unusual. 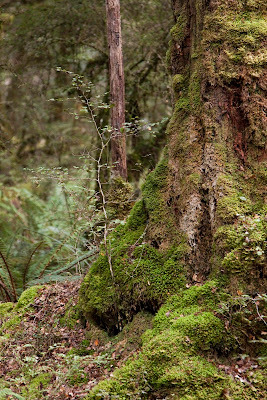 And damp. Although we did see a wild Parakeet which was cool (although the picture was bloody awful!! ).